Simple geometry and creativity meet in the design of the eye-catching HEX corner mirror. The familiar object is deconstructed and re-imagined here as an artistic piece that will create a focal point in any room. Made from two parts, the corner mirror thus becomes a décor accent that displays a dynamic reflection of its environment and of the viewer, bringing a touch of surrealism to living spaces. 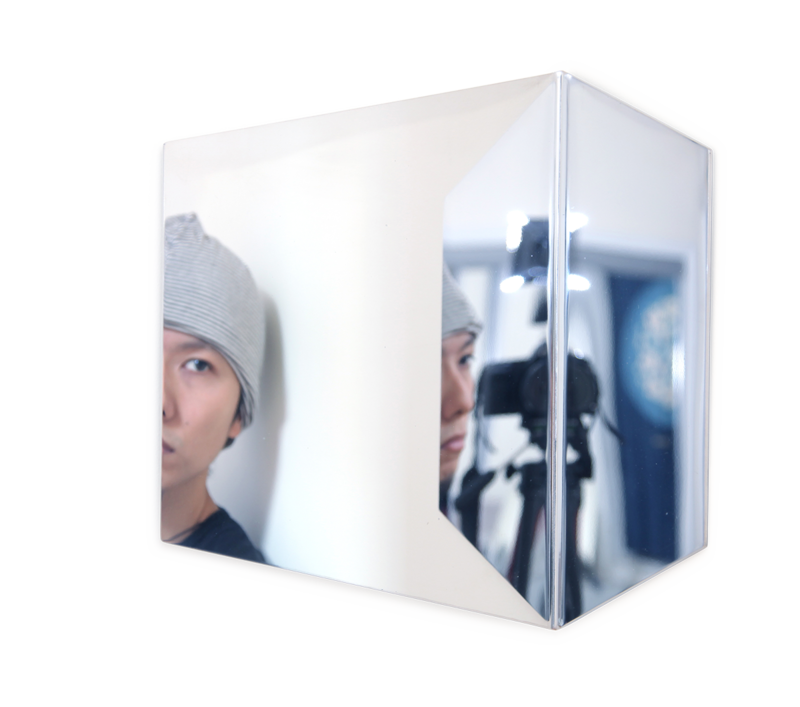 The folding hexagonal design provides a creative take on the classic mirror and redefines the way the observer interacts with an everyday object. HEX is made of polished stainless steel and also comes in a copper finish.